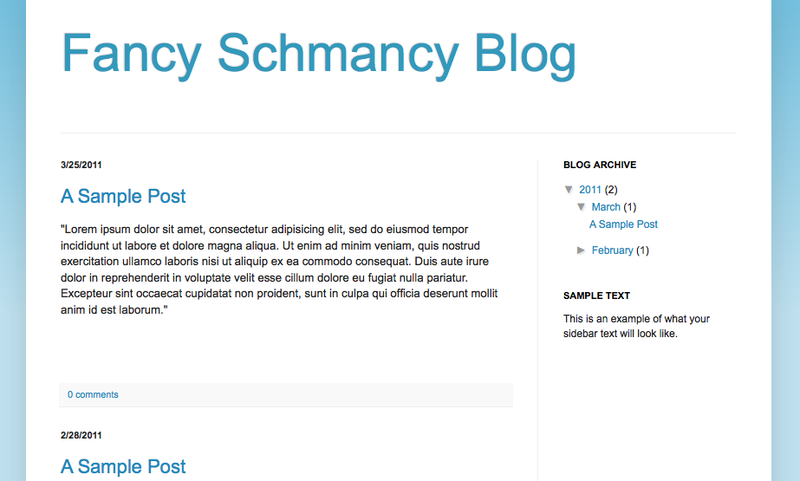 Luckily, Blogger makes it pretty simple to change things up if you are using one of their templates. (Note: you must be using an unaltered template for this to work). 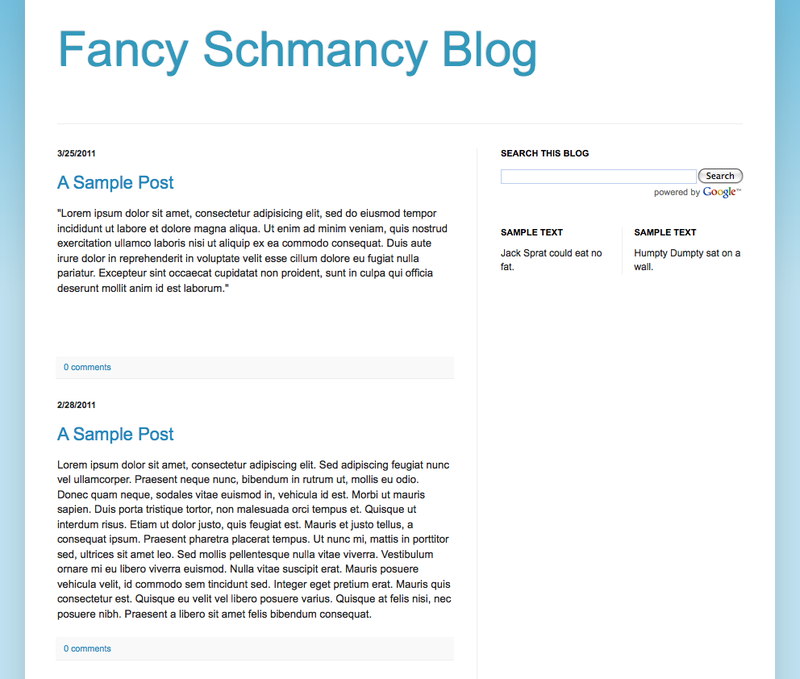 We at Designer Blogs can also offer you upgraded layout options with any of our custom designs. You can find our options HERE. Here is my sample blog using Blogger's SIMPLE template. It's not so very Fancy Schmancy. It has a basic post section and one basic sidebar. Blah. To switch things up, I login to my blog, click on the Design Tab, and then select the Template Designer from the Design options. I then select the Layout button on the left hand side of the page. 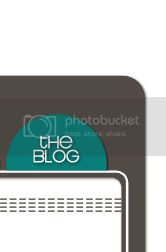 This brings up my layout options, and as you can see, Blogger offers eight different options for layout, as well as three different options for your footer. You literally just click on the options for either area that you want and then SAVE your changes. It really is that simple.